(RxWiki News) The US Food and Drug Administration (FDA) recently approved a new treatment option for adults with moderate to severe plaque psoriasis. This newly approved drug is called Ilumya (tildrakizumab-asmn). The FDA approved it to treat adults who are eligible for certain psoriasis treatment options, including systemic therapy and phototherapy. Tildrakizumab-asmn is available as an injection and is administered every 12 weeks — after two initial injections at weeks zero and four. It works by binding to interleukin-23, which is a key protein involved in inflammatory diseases like plaque psoriasis. Two Phase 3 clinical trials found that patients who received Ilumya saw significant improvement in plaque psoriasis symptoms when compared to those who received a placebo. “As we move to finding a cure for psoriasis, what we are looking for are high-performance drugs that provide durable response in between treatments and that lend themselves to patient compliance — in this case 12 weeks," said dermatologist Dr. George Martin, of the National Psoriasis Foundation's medical board, in a press release. "This lessens the need for multiple injections along the way." 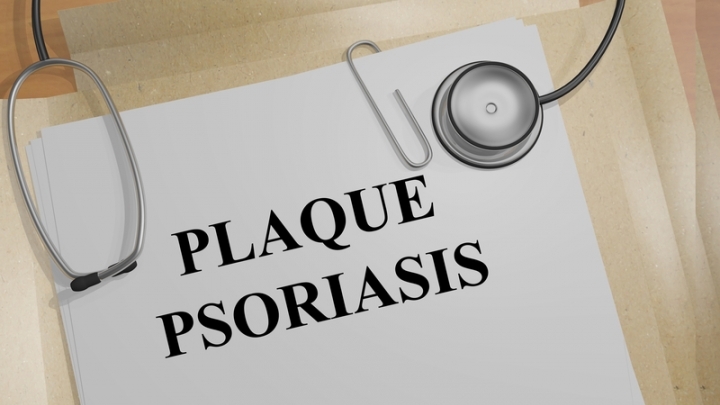 Speak with your health care provider about the best treatment for your plaque psoriasis. Ilumya was approved for Sun Pharma. It is expected to be available in the US in the summer of 2018.